Before you make the final decision to replace your existing door, there are a number of factors to take into consideration. This is particularly important if your property is older. As the main entry point to your property, your garage door is highly visible to passersby and neighbors. A shabby old door is not a good look! While it’s easy to give it a new lick of paint, this is only a temporary option. So why not add monetary value and visual appeal to your home with a smart new door? While older model garage doors offer only a limited number of features, newer systems provide greater security and safety options. Even if your door is not at the end of its lifespan, it’s worth considering upgrading your system for security reasons alone. Modern systems offer a number of innovative features designed not only to improve your home security but also to enhance other aspects of your everyday life. For instance, instead of controlling the movement of your door using a remote control unit, why not replace it, and upgrade to an opener that's compatible with your mobile phone? Regardless of where you are in the world, this will enable you to control access to your garage. 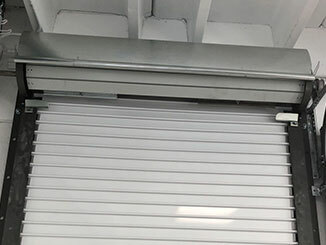 Garage doors, over time, are subject to a great deal of wear and tear which can cause some of its components to loosen. This can result in hot or cold air seeping into your home and may cause a drop or rise in temperature. Unfortunately, this can also mean an increase in your energy bill as you struggle to keep your house at an ambient temperature. A newer model door with a high thermal efficiency and insulation level ranking, or R-value, can help keep your property comfortable. Our local team at Garage Door Repair Colleyville will keep you up-to-date with all the information you need to consider when choosing a new system. Get in touch today and talk to a skilled professional!